We've gotten a lot of work done over the summer but not all the work I wanted done over the summer. The later half of the game is written! And the art is underway! I've fixed some bugs! Our composer is composing more songs! If you want to hear some of the demo's our song writer Crystal has written songs for the later half of the game they're up on her soundcloud. 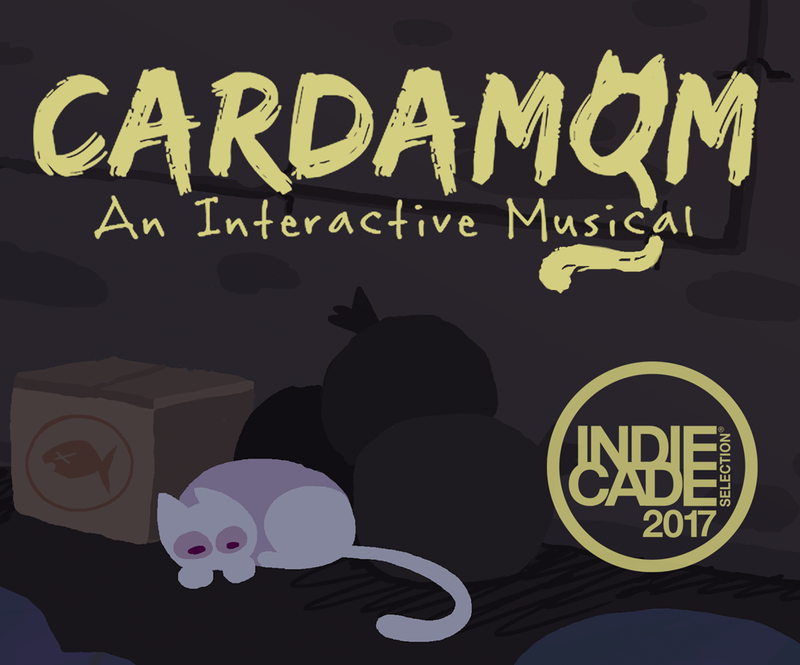 In the second half of Cardamom you're adopted by one of the residents. Then you help that resident make choices about their career, love and loneliness. At the end of the game everyone has a big dinner and sings a song about what they've learned from being your owner. I've been trying to figure out how to fund and market the game to get more people to play it. Without doing something crazy like running a Kickstarter. I'm really not a social media type person. . .? I met with the head of Kickstarter game dev relations at Indieprize and she basically told me to have a successful Kickstarter I need to bring my own community (aka have a lot of people following the game already). Another person I met at Indieprize has been talking to me about helping to find me publisher for the game. That leads me to another thing we've been doing this summer which has been showing the game places. We showed in Japan at the Tokyo college of Art. We were lucky enough to get to show at Indieprize in Seattle. And we just found out today that we got into IndieCade an independent games festival here in LA (where the team is from).